Kim Kardashian may be “stupid,” but if Jon Hamm didn’t realize she’d take offense to his evaluation of her, we think she isn’t in that category alone. The Hamm vs. Kardashian feud carries on! Jon Hamm and Kim Kardashian are on track to have the most polite exchange of insults ever. Despite name calling, hurt feelings and incredulity, there’s a whole lot of respect happening here. 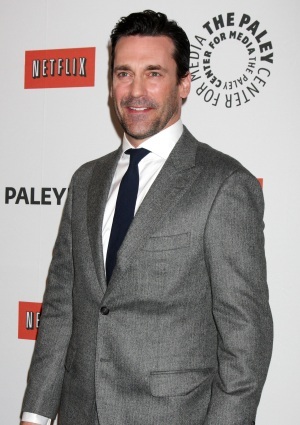 “It’s surprising to me that it has become remotely a story,” Mad Men star Jon Hamm told E! News Tuesday night in reference to his unflattering Kim Kardashian comments. Perhaps it’s time for everyone to have a little less R-E-S-P-E-C-T about who is allowed to be offended by what, and say how they really feel. Jon Hamm set the ball rolling — it’s your turn to let those true feelings fly, Kim! We’ll even call you Ms. Kardashian if it gets nasty. What do you make of Jon Hamm being surprised Kim Kardashian took offense?